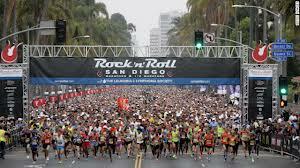 SAN DIEGO, Calif. — Competitor Group, Inc. (CGI), the San Diego based company that owns and operates 53 events around the world, including its flagship Rock ‘n’ Roll Marathon Series, today announced that its board of directors has named David Abeles as Chief Executive Officer. For the past several months CGI chairman Paul Walsh has been serving as interim CEO after Scott Dickey and Steve Gintowt left the company as CEO and CFO in December 2013. The change in leadership followed a strong industry reaction against CGI’s precipitous reduction in its elite athlete program just two weeks prior to the Rock `n` Roll Philadelphia Half Marathon last September after appearance agreements had been made by CGI’s elite athlete coordinator Matt Turnbull. Later, following Dickey and Gintowt’s departure,CGI reversed course, and in January reconstituted its commitment to elite competition. Now, 42 year-old David Abeles joins the firm, bringing 20 years of executive experience in the sports industry to CGI. 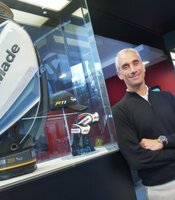 He was most recently the Executive Vice President and General Manager at TaylorMade-Adidas Golf Company, where over the past six years he led the commercial operations of a $1.8 billion global equipment and apparel division. Prior to TaylorMade, Abeles served as Vice President of Sales and Marketing for Cobra Golf. I spoke with Abeles by telephone today from his office at CGI headquarters in San Diego. So why CGI? Why you? Why now? With his long background in golf, I asked Abeles if he saw any parallels in the two sports? While it was never directly presented as the cause for the departure of former CEO Dickey and CFO Gintowt, the industry backlash that erupted following CGI’s decision to significantly scale back its elite athlete program just two weeks prior to RnR Philadelphia last September was an evident turning point for the organization. Having come from the world of golf where the stars of the sport are among the highest paid and most well-recognized athletes in the world, I wondered how Mr. Abeles felt about entering a sport that is dominated by East African athletes who are among the lowest paid and least recognized elite athletes in the world. 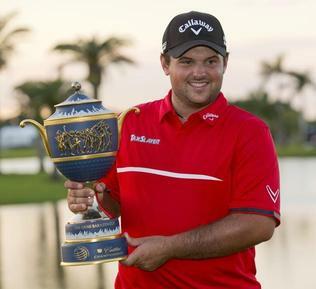 Last weekend Patrick Reed, 23, became the youngest winner of a World Golf Championship event. For his one-stroke victory in the WGC– Cadillac Championship Reed won $1.5 million. I also asked Mr. Abeles if he could foresee a time when running would brand, not just its events, ala Rock `n` Roll, but brand its competitions, ala the PGA TOUR. When Falconhead Capital purchased Elite Racing from Tim Murphy in late 2007, there were seven Rock `n` Roll properties in the USA. Today, within the portfolio of Calera Capital Competitor Group stages 25 RnR events in North America and four in Europe. Where might we expect to see future growth happen? While elite sport has once again been revived as part of the CGI future, the average runner, understandably, remains at the center of the company’s focus. With its Rock `n` Roll Series, KiDS Rock Series, TriRock Triathlon Series and Women’s Running Series, CGI is poised to collectively welcome more than 500,000 professional and amateur participants in 2014. “I think it is critical for our company to focus on the active lifestyle segment,” said Abeles who earned a BS in marketing from University of Connecticut. “The way people lead their lives is of critical importance. So I see the sport growing exponentially. In 1976 there were only 25,000 marathon finishers in the country. Now there are 25,000 in each race. But I think we can also find the right personalities so that we will also see runners on the cover of Sports Illustrated again, too. And we don’t have to model ourselves on golf. Running has its own authenticity. Thanks for making the correction, and taking the blame…you’re a good man, Toni Reavis! This is a step in the right direction; Abeles is obviously a savvy marketer and I agree with him, as I know others in the sport do as well, that running and golf have much in common. However, he did make one statement that isn’t true, when he talked about the number of marathon finishers in 1980 compared to now. According to Running USA’s annual marathon report, there were 120,000 finishers in 1980, not 25,000. Finishing times have taken a nose-dive, not number of participants. My fault on that statistic, Claudia. I gave him that number, and he replied that today 25,000 seem to enter every marathon event. I think the 25,000 figure came in 1976, so that by 1980 the boom had already multiplied that number five-fold. No matter, the gist of the statement still holds, and I corrected the number in the quote as it was my error, not his. AARON BRAUN READY FOR HIS CLOSEUP IN L.A.